Happy St. Patrick's Eve! What better time than to share another Easter idea, right? I promise this was leprechaun-approved. Spring always seems to get my creative juices flowing again so I couldn't wait any longer to share this project and to be honest I thought St. Patrick's Day was last weekend. Oops. So now that all has been forgiven, let's get on with today's post! Have you seen these hairband lollipops at Michaels? I thought they were really sweet and fun. Over the years, I have shared a handful of gift ideas of goodies that I have sent out to my nieces in Colorado and I thought these "lollipops" would be perfect for Easter. They're tweens so they're all about their nails and hair and unicorns, oh my! Okay, maybe I was kidding about the unicorn part but still what girl doesn't love to play with her hair at this age, right? Of course, I had to include a printable to go along with their gifts and of course, it involved a pun because you guys know how I love me some cheesy puns! I can just see my hubby rolling his eyes now. I designed a pink one too. 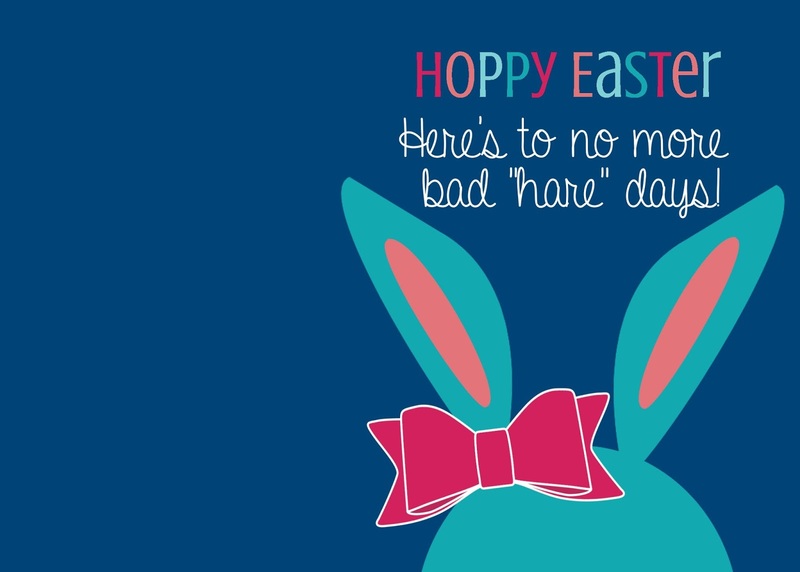 Want your own free Easter printables? Download the pink card here. Simply just print and cut! The cards are 5 x 7 and are best printed on plain, white card stock. I plan on slipping my cards and lollipops into a cellophane bag but you could always hole punch two small holes into the left side of the card and slip the ribbon through to attach the lollipops to the card stock. Double sided tape may work too. Attaching an Easter bow or wrapping a top knot fabric headband around the card would also be a cute way to use these printables! These would also make for some adorable Easter favors for a Girl's Scout troop, dance squad, or athletic team. So what do you guys think? I think they'll get a kick out of it. I may actually be up for the "Aunt of the Year" award again! As always, I LOVE to hear when people get use out of my printables! Comment below or come chat with me over on Facebook and Instagram. 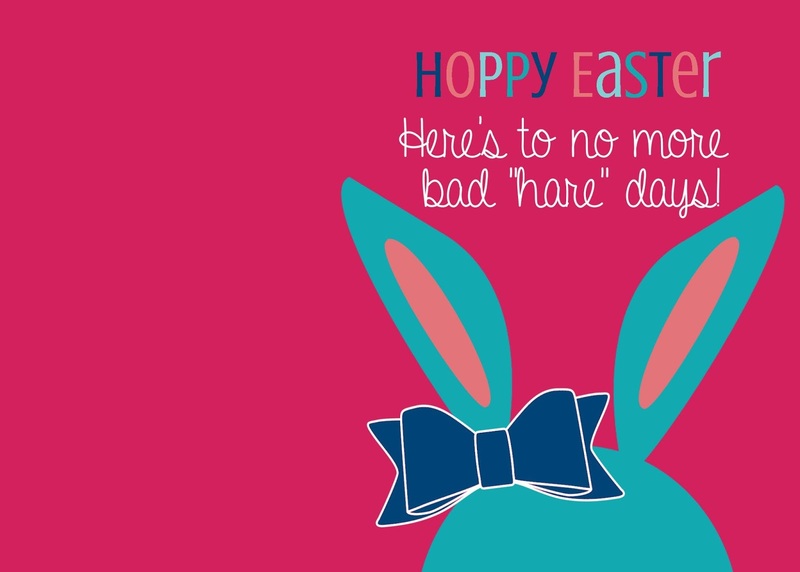 Looking for more Easter printables or inspiration? Make sure to check out some of my other projects! These printables are adorable, love the colors. Such a creative idea for a gift. I love a good printable...you had me at hello! What an adorable gift idea and, I love your printable its really cute. Thanks for sharing!